Windham had some of the most well-devised booths at fall Quilt Market. As an added bonus, many of the fabric designs were there to promote their collections. 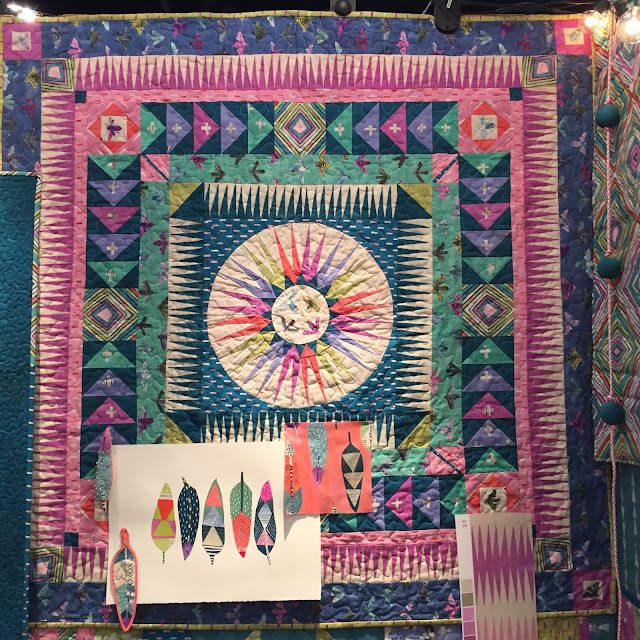 Heather Ross has a new cotton lawn collection, Sleeping Porch, consisting of 19 prints and 6 solids laden with florals and snails. It is a departure from her typically kid-centric aesthetic. 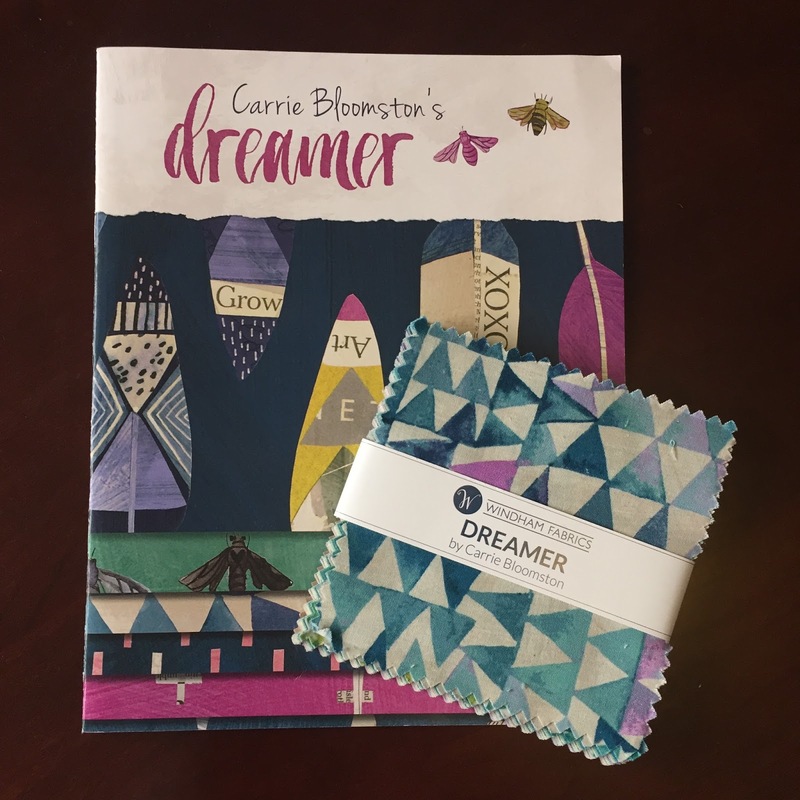 Dreamer by Carrie Bloomston contains 28 fabrics inspired by antique textiles, handcrafts, and pottery from around the world. 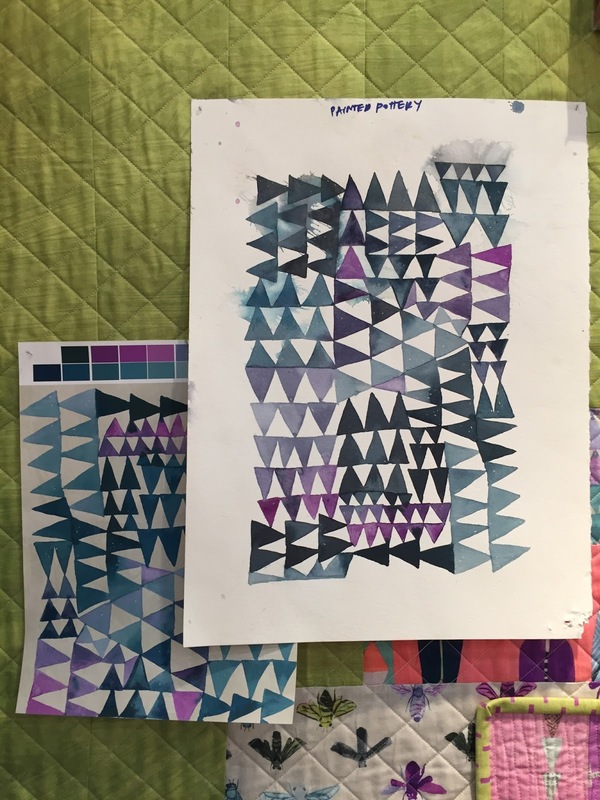 When I spoke with her, she let me know that she had collected a piece of scrapbook paper from my current city of residence, Albuquerque, many years back that inspired a print in the collection. It goes to show that the little things that strike your fancy now, may just take prominence as a source of inspiration in years to come. Carrie is also an advocate for bees, and actively supports the Xerces Society for Pollinator Conservation. 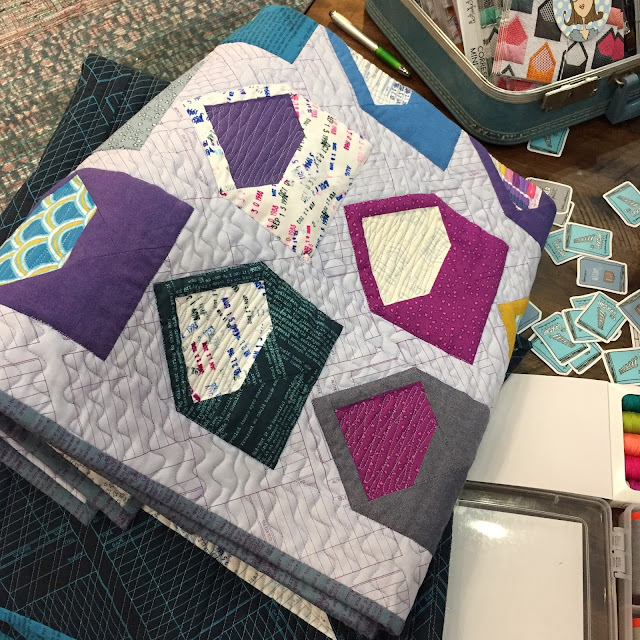 If you'd like to win a charm pack of the not-yet-released Dreamer collection, let me know that it is your favorite Windham 2016 fall release. Tell me how you follow my blog and where you are from for an extra entry. I'll pick a random winner on Nov. 20. Update: Pamela won the charm pack. 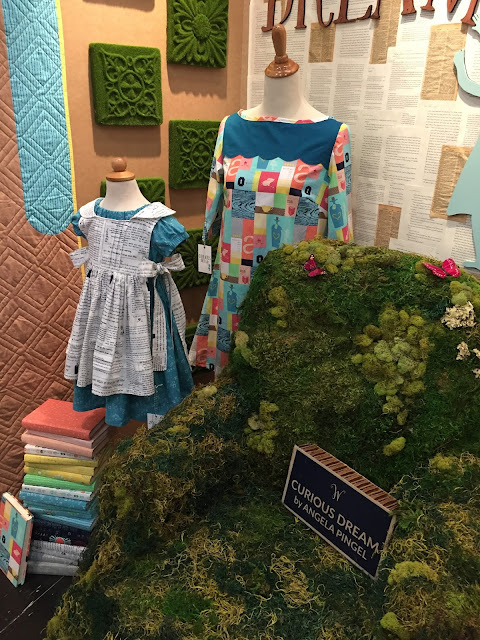 Angela Pingnel's collection, Curious Dream, is a rift on Alice in Wonderland. 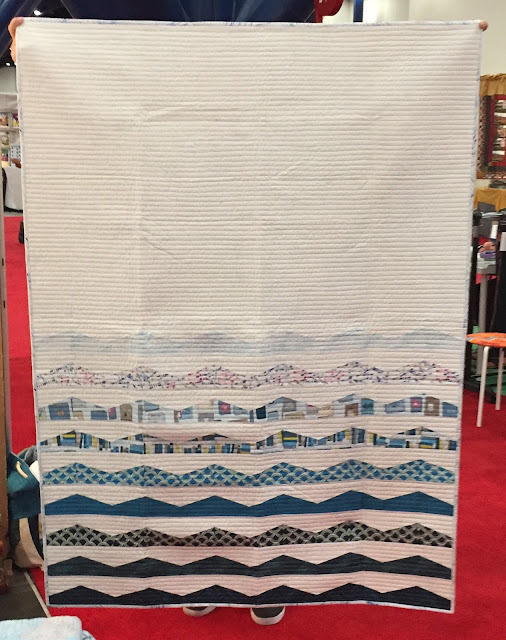 The quilt on the back wall in the photo below is Book Nerd. I had big plans to dress my one year old in a rabbit costume and take his photo in the booth, but he decided to take a nap instead. During the very infrequent times that my children choose to rest, I find it's most prudent to let them lie. Alas, my photo opportunity was not meant to be. 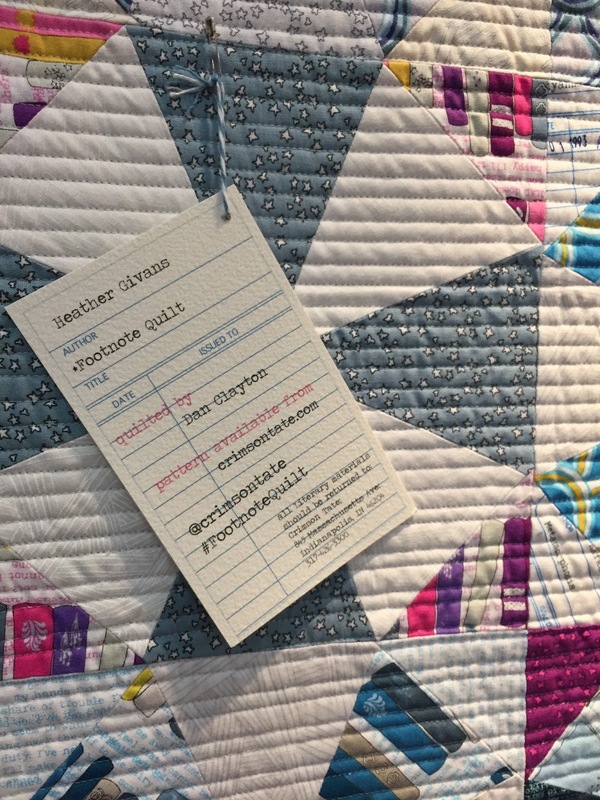 Heather Givan's collection, Literacy, combines her love of reading and sewing. It is a celebration of books and libraries of the past, with their card catalogues and date stamps. One of her prints even contains the entire text of Anne of Green Gables. Heather had a very clever manner of labeling the quilts in her booth. 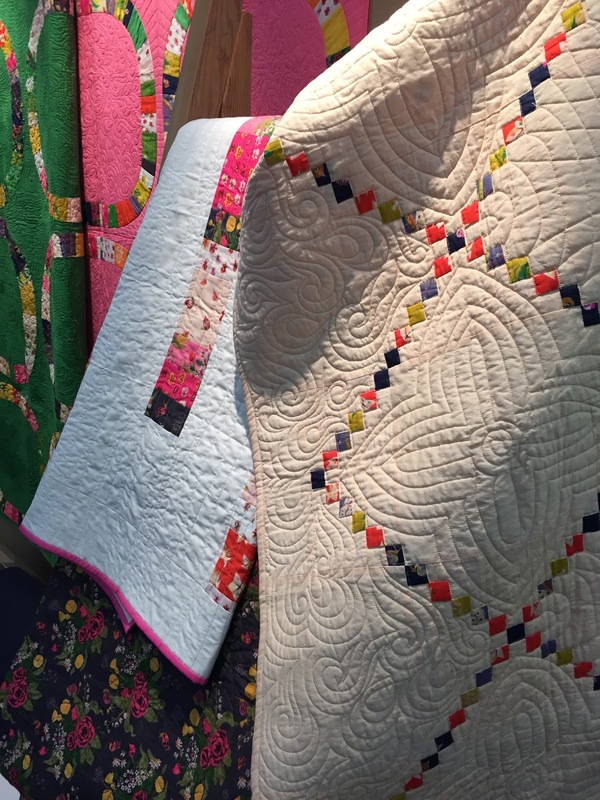 Heather did a trunk show of quilts from her collection's look book. 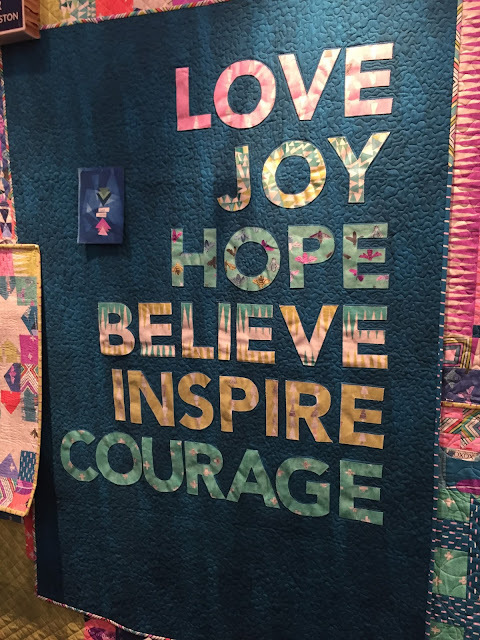 The quilt titles, makers, and pattern purchasing information can be found in the captions. I'll keep mum, and leave the projects to your viewing enjoyment. 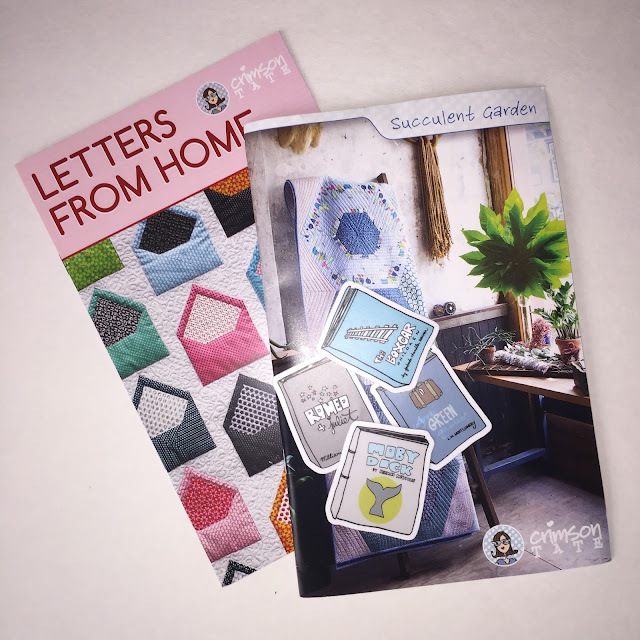 If you'd like to win Heather's Letters From Home and Succulent Garden patterns, along with four adorable books stickers, let me know that Literacy is your favorite Windham 2016 fall release in the comments. Tell me how you follow my blog and where you are from for an extra entry. I'll pick a random winner on Nov. 20. Update: Brita won the patterns. Thanks for joining me on this tour of a selection of Windham's latest collections. See you soon! I am inspired!!! Wow! So much talent in this post!!! I follow you via bloglovin. Dreamer is my favorite, and I am so happy that Carrie supports bees! I follow you via Bloglovin, and I'm from Virginia too! Literacy is my favorite Windham 2016 fall release! I love books! I also really like Dreamer. Greetings from Washington state! I'm a Bloglovin follower: Nicole Sender. Destination Paris is my favourite. I follow you via Feedly and although an American I have lived in England since 1990 presently in Woking, Surrey. Well I like Literacy too. Thanks for the opportunity to win. Love, love, love Carrie's Dreamer line. It was my favorite from the Quilt Market releases. I follow you on Bloglovin from Indonesia! 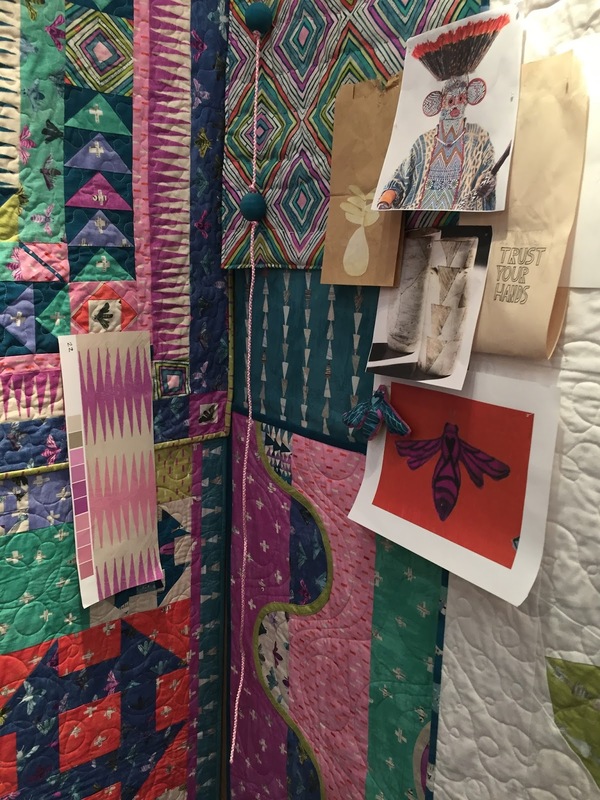 So hard to choose, I love Carrie's fabric and I know the book will be wonderful. Maybe the book because I am sure I will pass it on to our Guild library to many to enjoy. I follow you on bloglovin from Alabama! Afton, I"m from Virginia, the Atlantic side . Follow you via Bloglovin and email. Thank you. 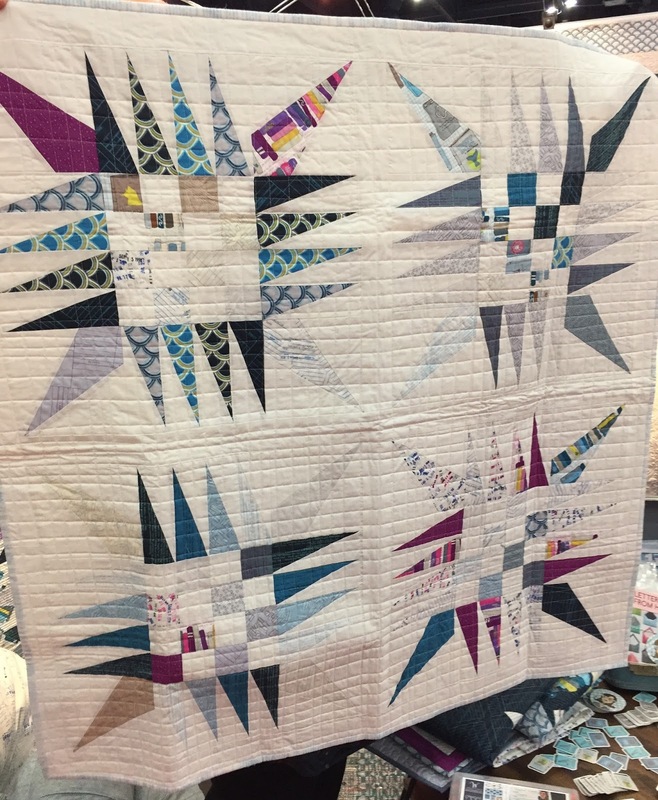 Dreamer collection, and my favorite print thus far is 42567-1 Feathers . THe dream catcher mini is gorgeous! THank you Afton,for sharing all this Windham goodness. Shooping time. Dreamer is definitely my favorite! I follow you on blogloviin and I'm from Texas. Wish I could have gone to Quilt Festival this year! Dreamer is my fave Windham fall 2016 collection. 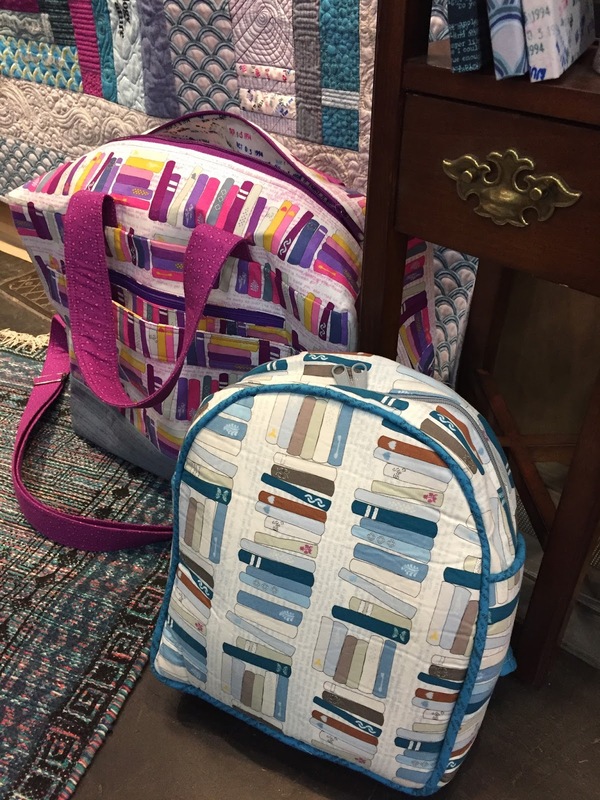 Of course, you've showcase the two best collections for the Fall 2016 release! Literary does happen to be my favorite, Dreamers, a close second. I was also smitten by Smarty Cats. I follow you via email notification and am in Nova Scotia, but on my way to winter in Texas. Thanks! Enjoy your day! Wow!!!! Love the LIteracy line by Windham and the projects. Really speaks to my librarian heart. I follow your blog through Bloglovin. I live in Georgia very bear the South Carolina border. Thanks so much!!!! Email and GFC follower from the UK! I like all! But my favorite is Sleeping Porch. I love the HATCH by Bread & Butter. I would buy some right now if I could. I do love the Literacy line. 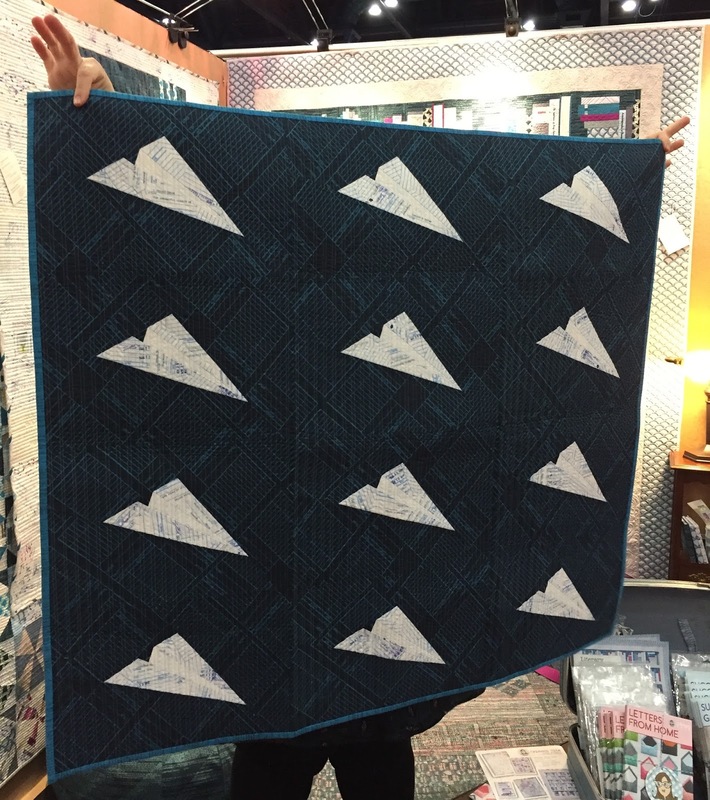 I would love to make the Air Traffic Control quilt for my grandson. We have fond memories revolving around paper airplanes! One of my fabovirte is Aubrey line. Love both the literacy and dreamer lines. Some of those bread and butter lines coming in the spring look awesome too! Thanks Afton. I do love the literacy and follow you via email subscription too. was very hard as their both very talented. I follow you on bloglovin and email, I am from Ontario Canada. Loving that Literacy, the colorway is wow! I follow on Bloglovin, I'm on the beautiful Cumberland Plateau in TN. My granddaughter's nickname is B, so I love that Dreamer collection a lot. I follow you via bloglovin and am from Allentown, PA. I follow on Bloglovin. 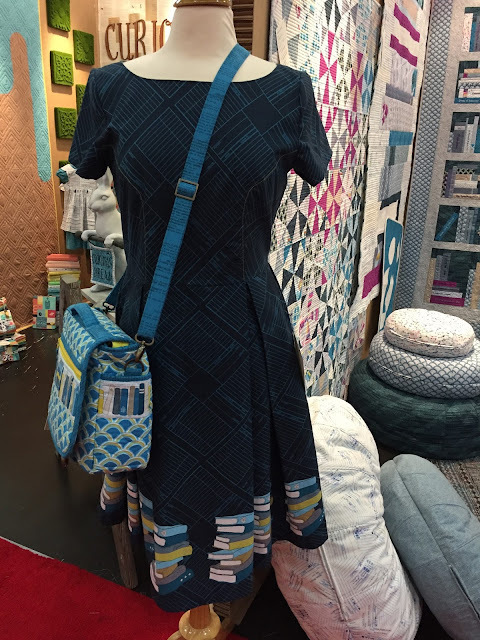 Dreamer has a slight edge for me in terms of my favorite but like most fabric lovers, it varies by mood. 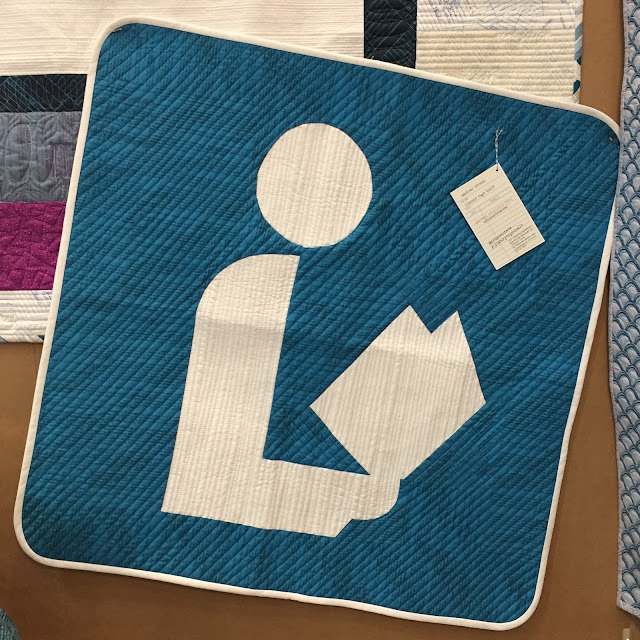 Literacy is really beautiful too and I love the library quilt you posted. 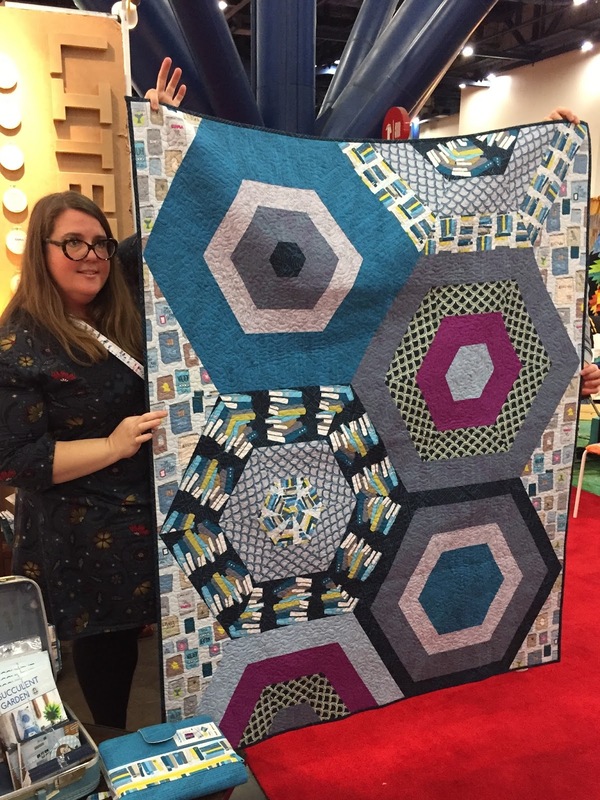 This blog post is a dream...thank you for all the photos and information! The Literacy collection by Windham if my favorite for the Fall 2016. I can't wait to get my hands on it. Afton, I love following your Blog and enjoy all the inspiration I get from your posts. Afton, not only do I love Literacy, and follow your Blog but I am from Avila Beach, California. 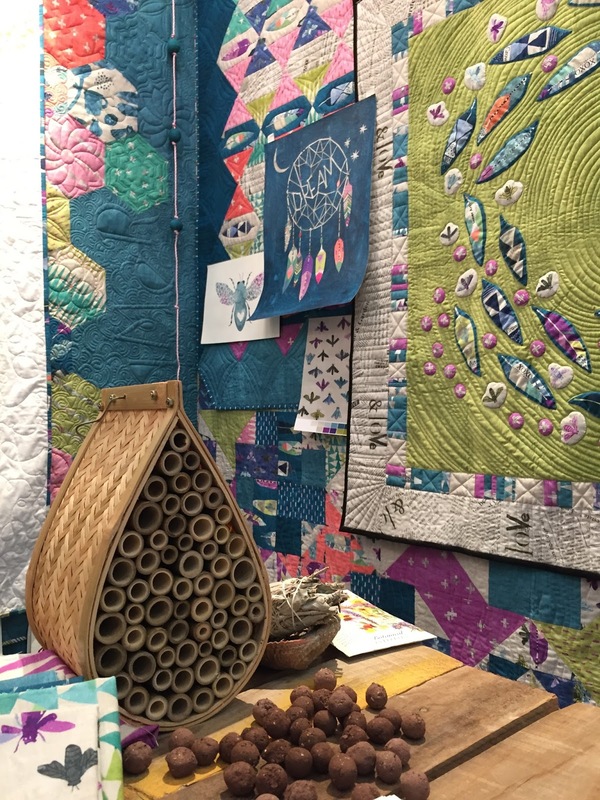 I am from Iowa and follow with Bloglovin"
Afton, such a goregous photo trip through to great collections. Thank you. Decision time is difficult because each collection pulls at me for different reasons. I think "Drifter" calls louder, though. I live in Carson City, Nevada and follow you through email. How can one pick only one favorite? 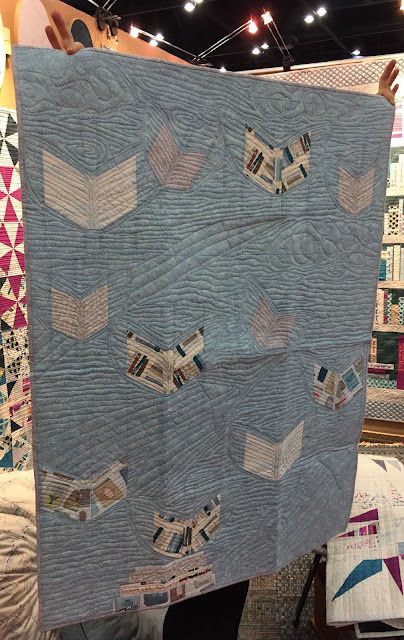 My choice is Literary because it is perfect for a book themed quilt for my book loving son. When he first moved for postsecondary he travelled with 2 suitcases, all filled with books. He chose to pack minimal clothing and buy new where he moved to! I follow Afton by email and am from British Columbia Canada. Along with many others, I like the Literacy collection. I love Carrie Bloomston's Dreamer!! And I'm a Phoenix girl like she is!! I follow you on Bloglovin'. mommaneo@gmail.com Thank you for the chance to win!! I love the dreamer collection. Thank you for the chance to win it! I follow you through e-mail. Thank you for all of the inspiration! 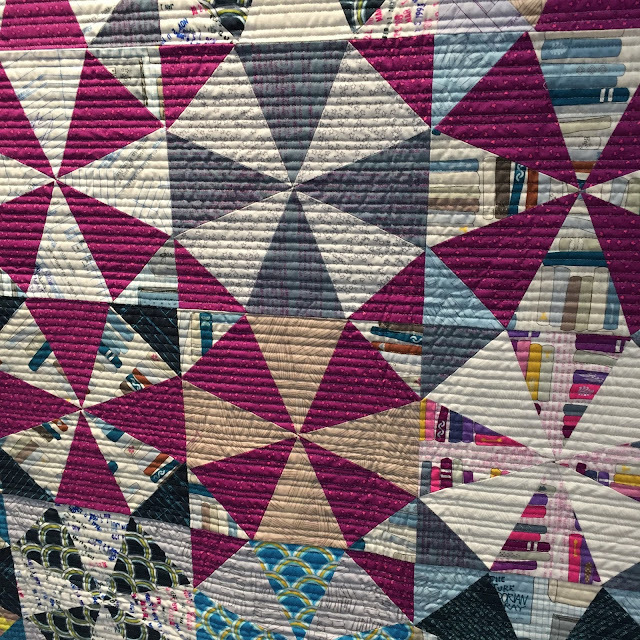 The colors on this line are so right up my alley! Especially that plum color! I think the plum print with all the stars on it might be my favorite. Dreamer is my favorite, so gorgeous! I follow you on my blogger dashboard/GFC from my home in Kentucky. This was a really fun post, Afton, with so much quilty goodness. I'm throwing my hat in the ring for the Letters pattern. I was interested that the Heather Givans collection seems to be following her first designs of paper, etc. I guess once you are on a roll, you should just keep it going. I love the Literacy theme My daughter-in-law is a teacher, I can see many ideas for gifts for her. The teacher in me in immediately drawn to Literacy as my favorite collection. I taught Language Arts and Literature in middle school for 7 years and books are in my blood....so is sewing! I like Atlas and Twilight a lot. I follow you on bloglovin and instagram and I live in Southern Ontario Canada. Dreamer is my favorite, thank you for the giveaway. I love Destination Paris! And Dreamer is gorgeous too! Thanks for the opportunity! Literacy is surely my favorite, now that I know about the Anne of Green Gables text. I shall have to stock up on that, for any future quilts that will be mine-all-mine! I follow you via email (wordygirl at earthlink dot net). You can find me in rural Oregon, in a little town called Clatskanie. I am loving Literacy - the dress is so cool! My librarian daughter would love this line!! 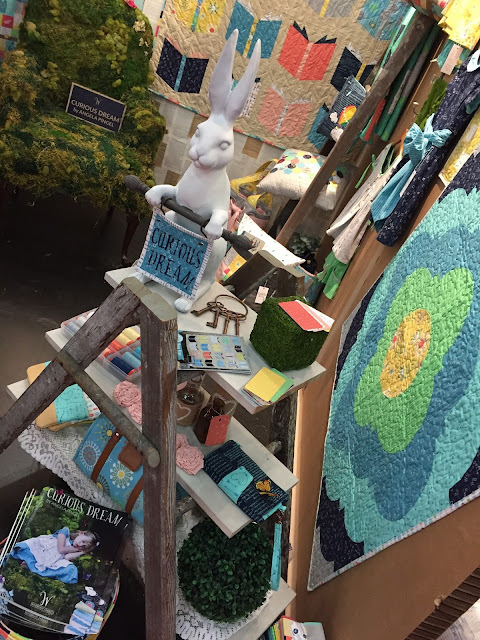 Hello from southeast MI - I follow w/ bloglovn! Dreamer is my favorite. 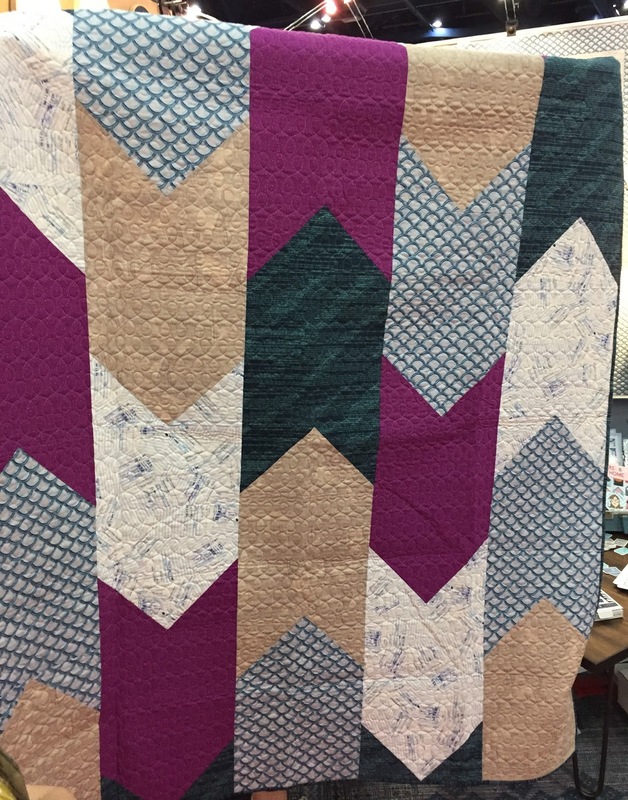 Also, the quilting on the green quilt in the first picture that looks like topography is so cool! Afton, I received the patterns I won today, and now I'm trying to decide on the fabrics to make Succulent Garden. I have so many things on my to-do list, but I can't resist this one! And the Letters From Home will be on my list, too, so cute! Thank you! !